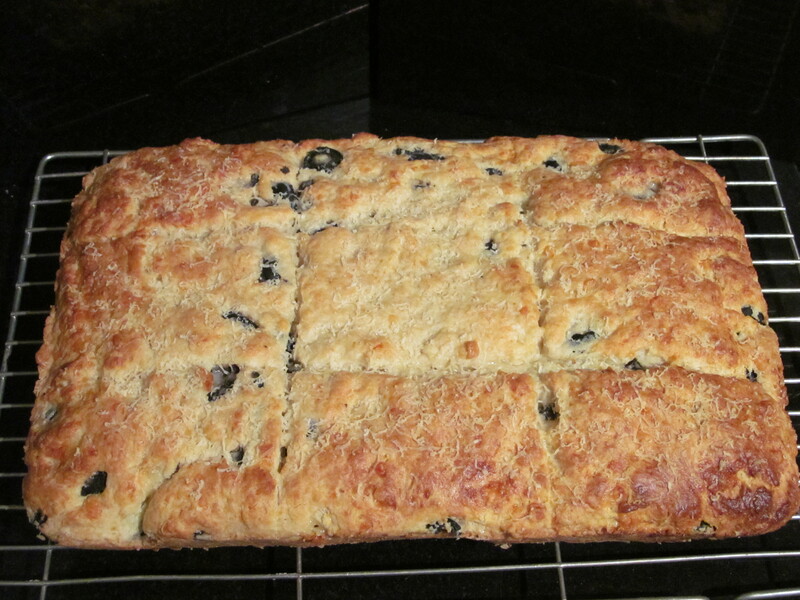 Week seven – Cheese & Olive Scone ….and a bonus..Chocolate Crispies! Week seven…and it’s a bit late in publishing, my mum went home and I didn’t feel like baking ….or blogging…but now I’m back in the saddle, so where were we? I fancied a savoury challenge this week and thought that Mary Berry’s Cheese & Olive Scone fitted the bill. 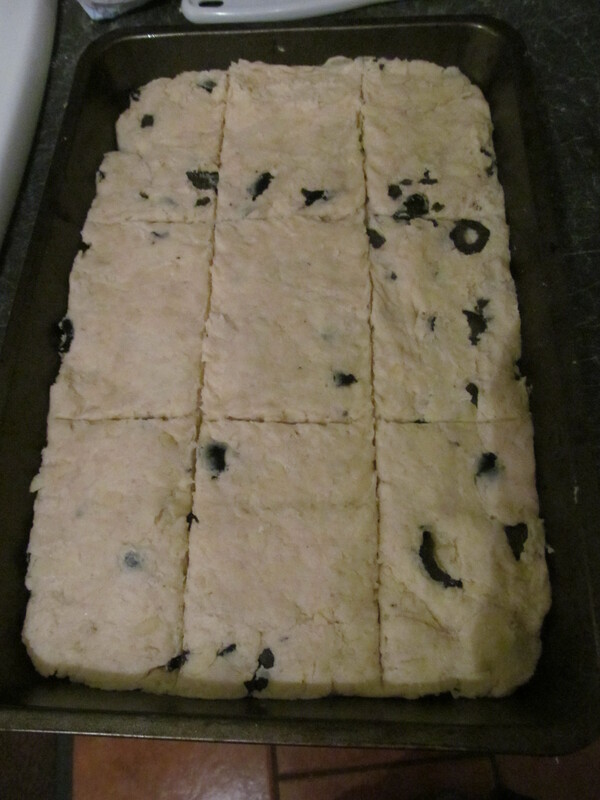 It isn’t like your usual scones in that you don’t cut them out into neat little rounds, the recipe suggests you press it into a rectangular tin and mark it out into sections and bake. That’s what I did. 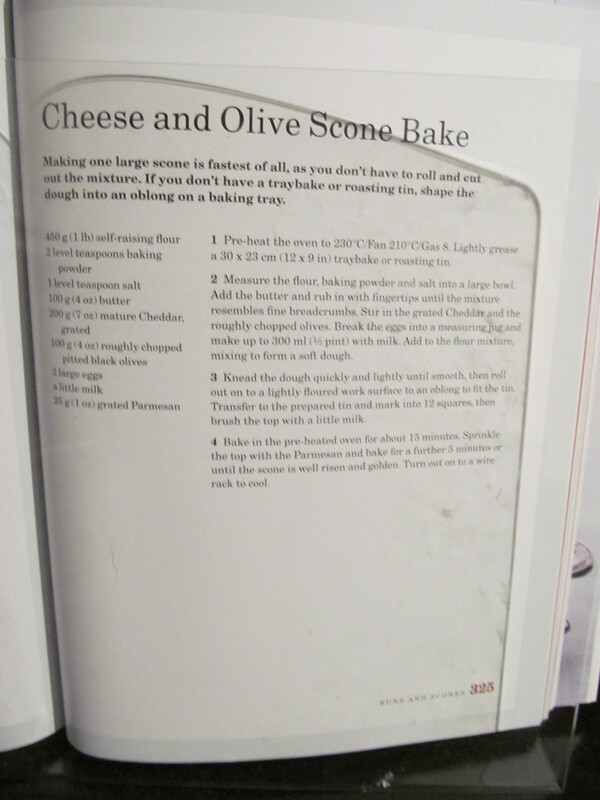 It mixed easily enough, no hiccups with making the dough and into the oven it went. I also decided to do a “bonus” recipe, Mary’s bible has a children’s section and there were the old favourites of Chocolate Crispies recipe. 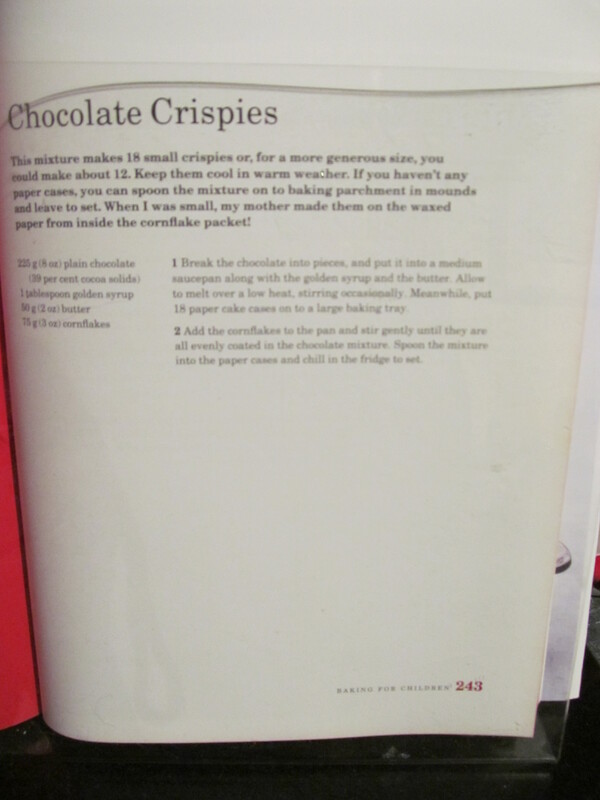 Now, I am no “great shakes” in the cooking department, but even I thought that I would feel like a fraud if I devoted a week’s blog and challenge to chocolate crispies on their own…….! So while I waited for the scone to bake, I mixed up the chocolate crispies and spooned the mixture into the cases. I then put these into the fridge and took out the scone bake. The recipe said to take it out of the oven after 15 minutes and sprinkle grated parmesan cheese over it and return it to the oven for 5 minutes. I did this and got out the cooling rack ready. I was really pleased with the way the scone turned out. I allowed it to cool and cut it into sections and put it in an airtight tin. We sampled it the following day with a little butter and even if I do say so myself, it wasn’t half bad! So what to do next week? Back to something sweet I think……….. This entry was posted in Kim's cake challenge and tagged cheese, cheese & olive scone, chocolate, chocolate crispies, Kim's Cake Challenge, Mary Berry, olive by kimsideas. Bookmark the permalink.